There's no place grander than Grand Rapids, Michigan! 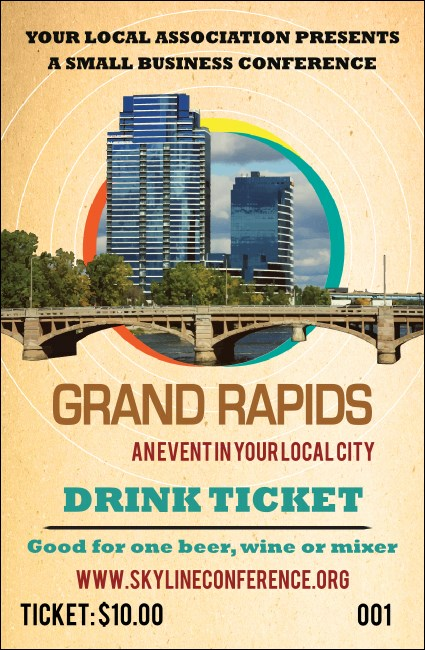 Share the grandeur with your attendees, and manage your concessions with ease, with the Grand Rapids Drink Ticket. Featuring a beautiful depiction of the city's skyline, this ticket is printed in full color and securely numbered. Get-togethers are just more fun with custom event kits from TicketPrinting.com!